I’m passionate about the Christians Against Poverty money course! Why? Because I have seen first hand how much it can transform attitudes to money. I have seen people I know both take steps to organise their personal finances better and also people released from serious debt. This is not just a course for people in debt. It is for them, but it is also for me and anyone else who wants to find a more consistent way to handle their household budget. I used to think that our home budget was easy to control. After all, I was accustomed to dealing with a £40 million pound budget when I was director of merchandising at a department store. How difficult could a personal budget be? However, after a while it became clear that home finances seemed easy when most things were going smoothly in our lives, but an unexpected repair bill for the car, a broken washing machine and other similar things still seemed difficult to pay for when they actually happened. Worse still were the periods in our lives when we were suddenly without any income at all. When we had two children under the age of two, Richard was unemployed for 15 months, and I was unemployable due to post-natal depression. Money worries caused panic, panic attacks caused more worries and a vicious circle of not coping ensued. We almost sold the house and one day when the car broke down with a faulty clutch, we asked the garage not to repair it, such was the state of our finances. In both cases by God’s grace funds miraculously appeared to help us out, but if anything this only led more quickly to complacency when Richard was re-employed and income restored. So a cycle began. Complacency about money built up until the next lean period when we were reduced to one income only for six months, and so on and on. This had to stop. It was time to stop being anxious and start listening to what God wanted us to do with our money. And so to the Money Course. The patient leaders guided us through a clear process of working out our income and expenditure and gave us a method for ensuring that money was available for both the anticipated expenses and those dreadful unexpected moments as well as a way to save for special things like holidays. Everyone on the course approached the coaching in their own way, some budgeting for the first time, some just wanting to reach the end of the month with a little money still in the bank, some self-employed and finding budgeting a nightmare with variable income and one or two already in some debt but wanting to get out of that situation. Everyone moved forward from where they started and came away with great advice and strategies. The course is run by Christians but welcomes anyone who wants to join. 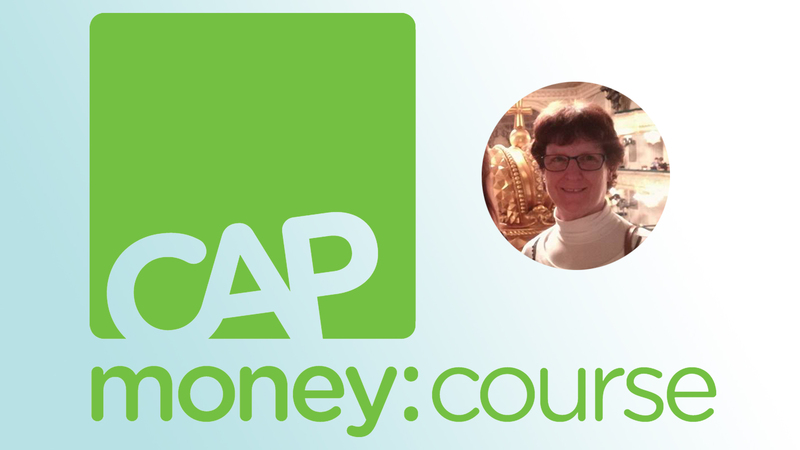 It is great to see God changing lives and attitudes to money through the course and going on the course made me decide to train to be a Money Course Coach. Everyday Wimbledon are proud to partner with CAP to bring their life-changing training here. We have a vision to run courses within the church, as well as outside the church to bless the local community as well. The next 3-week church-based course will start Saturday 7th April. You can sign up or find more information at the CAP website or by contacting Lynne Nel-Olivier via email: lynne.nel-oliver@wimbledon.org.uk.